I don’t have a whole lot of “free” time on my hands lately, but I do one thing every single day that is required and consistent—I commute. Every single day, I’m afforded the gift of 20 minutes each way in my car with no distractions, except those I choose to create for myself by listening to music or talk radio. Over the last 6 months, I changed my approach to this time with one simple tool—podcasts, and I’m spreading the message to as many people as I can. The longer someone’s commute, in fact, the more they stand to gain from leveraging their time in the car. 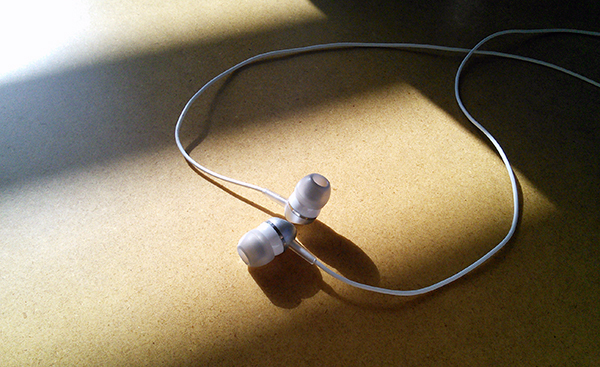 Podcasts, for the uninitiated, are simply recorded audio broadcasts available online. They range from amateur to professional, informal to highly structured, a few short minutes to several hours long, daily to yearly. Each podcast is essentially a channel you subscribe to (just like a blog), and get updates whenever something new is posted. A single app on my Android (or your iTunes account for the Mac people), manages every podcast I want to listen to effortlessly. Beyond the To Do List: Erik Fisher interviews a wide variety of guests on productivity and life skills. Check out this interview with Rachel Cruze on teaching kids about money. Simple Life Together: Beyond the awesome advice on how to simplify my life, I think I enjoy Dan and Vanessa’s playful dynamic far more than any other “duo” podcast. The Smart Passive Income Blog: Pat Flynn is well-known for his online business experiments, but his podcast goes far beyond that with practical advice for many business and personal issues. The Tim Ferris Show: From the author of the Four Hour Workweek and other books, this casual, R-rated, dense, and intensely practical podcast takes some warming up to, but is a recent favorite of mine. You Need a Budget: Jesse Mecham discusses the YNAB philosophy and how to apply the four rules in your daily life for financial success. Life in the Woods Podcast: Blake Stratton interviews some of the most interesting creative people in the world, with a focus on music. More than anything, I love his tone of voice and delivery of the message. Wow…thanks so much for including Simple Life Together on your list, Peter! It’s and honor! Podcasts are such a great way to make sure you always have some great content at hand to educate, inspire…or even just have something playing in the background as you go through the day. Long before Vanessa and I started Simple Life Together, I was a podcast junkie. So glad you’re spreading the word. GREAT stuff here, by the way!